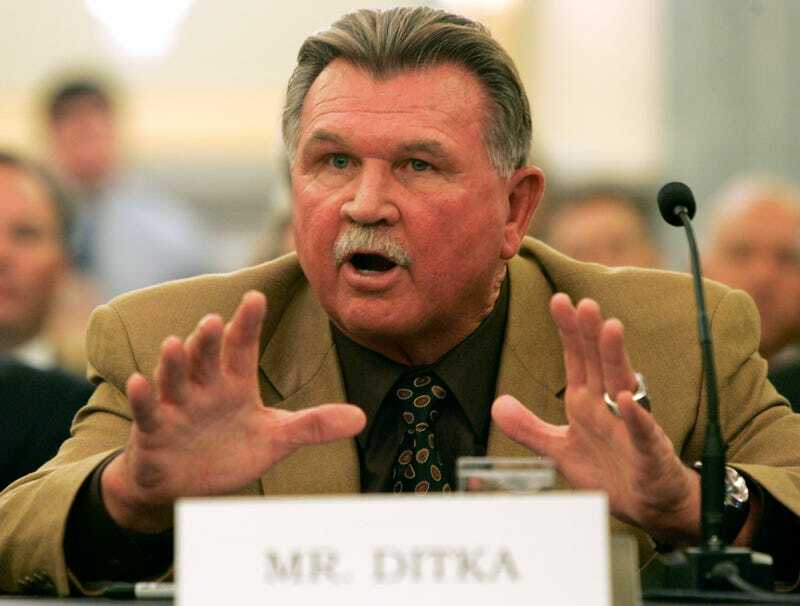 In 2004, Mike Ditka mulled a run for Illinois's vacant senate seat. The prohibitive favorite was state senator Barack Obama, and the Republicans couldn't find someone to go against him. Committee chair George Allen, son of the hall of fame coach, met with Ditka (who described himself as "ultra-ultra-ultra conservative") and urged him to run. Ditka considered it, but eventually declined, citing his busy schedule. It still eats away at him to this day. "Biggest mistake I've ever made," Ditka said. "Not that I would have won, but I probably would have and he wouldn't be in the White House." I'm not saying someone should write a sequel to The Man in the High Castle set in an alternate universe where Mike Ditka became president, but I'm totally saying it.